Membership of Entrepreneurs Organization (EO) for over twelve years, including serving on the board of the Albany New York Chapter. Volunteering his time for various regional accelerator programs including the Siena College Stack Center for Innovation and Entrepreneurship and IgniteU. Being an active member of the local startup community and sponsoring events such as Startup Tech Valley. Guest speaking for students studying entrepreneurship at Albany Law School, RPI, UAlbany, and Siena College. Writing articles on such topics as “Designing an Entrepreneurial Strategy,” “Licensing Your Software Products” and “Signed Contract Ensures Software Ownership”. Before co-founding Hoffman Warnick LLC, Michael held the title of Senior Software Engineer with Intermetrics Microsystems Software in Cambridge, MA, and Systems Engineer with Electronic Data Systems in Troy, MI. Michael continues to utilize his experience with computer, software and electrical technologies to further the goals of a wide range of technology-based clients. Michael is a recipient of The Capital District Business Review’s 2004 “40 Under Forty” award, which recognizes the brightest up-and-coming young members of the Capital Region business community. 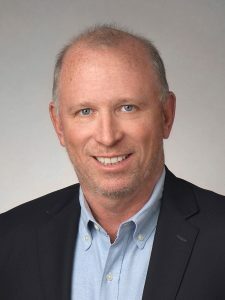 In addition, he has served on the Advisory Board at Albany Law School’s Center for Innovation and Law, and served as a Board Member for the Northeast New York Chapter of the Juvenile Diabetes Research Foundation (JDRF).